St Christopher’s Family Project works to support local families in various ways. We have a speech and language development programme to enhance children’s language development. We support families who have a variety of issues to do with effective parenting. We host a popular cooking club each fortnight along with the Youth Project called Heaven’s Kitchen. We also run parent and toddler groups twice a week, including baby massage. Our services are vital to families in the area and, like the other projects, we are reliant on funding to support our work to continue. Please pray for us to be able to reach all families and children who need our help. Pray for us to have the opportunity to develop new projects to meet emerging needs. 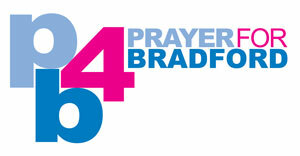 Please pray for sustainable funding to help us to continue to meet the needs of people in our communities.